Seven has announced the return of the Make You Laugh Out Loud series. See the network’s full presser below. Longing for a laugh? Gagging for a giggle? From July 5, Seven will bring you more of the funniest videos on the internet, guaranteed to make you laugh out loud. 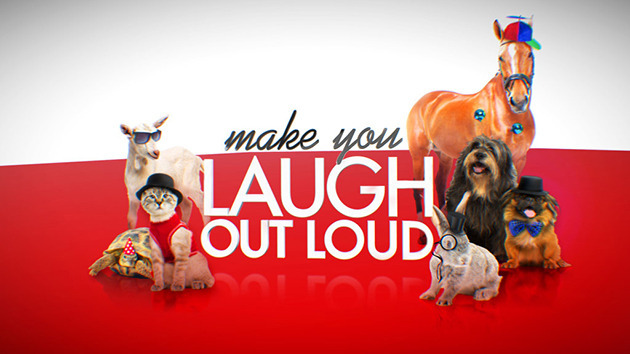 Make you LOL was one of the breakout television hits of 2015, averaging 1.54 million viewers nationally, with topics including cats, dogs and pets. This year, themes range from Christmas and pensioners to toddlers and budgies, all given the trademark LOL treatment combining user-generated footage with comic narration by English comedian Iain Lee. Each show also features breakout segments which take you behind-the-scenes to meet the people at the centre of the biggest viral videos on the web. Make you LOL screens 7.30pm Tuesdays from 5 July, starting with some of the cutest and funniest puppy clips on the web in Puppies That Make You LOL. Sporty pups, scaredy pups, malfunctioning pups, ninja pups and even talking pups have been brought together for this hilarious special.